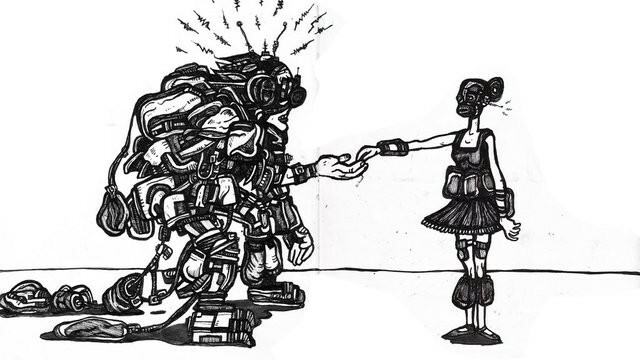 What Can We Learn From Harrison Bergeron In Today’s Climate? One of my favorite stories as a child was Harrison Bergeron. It wasn’t the most popular of Kurt Vonnegut’s 247 published works (Cat’s Cradle or Slaughterhouse Five probably get that distinction), but it resonated with me at an impressionable age. It was also the first thing of his I read. In a society where equality is mandated by the government, one person rises above his legislated shackles to remind everyone what greatness looks like. Reading through it again on the 10th anniversary of Vonnegut’s passing, it’s startling to see the relevance in today’s world. Everyone is born imperfect in some way. The story asks the question of how we are to treat those imperfections. The fictional government in 2081 passed three adjustments to the Constitution to make everyone equal. Some would think in this advanced stage of civilization it would mean technological advancements have made things like deformities and medical abnormalities went away. The opposite is actually what the 211th, 212th, and 213th Amendments accomplished. Attractiveness, athletic prowess, and intelligence were punished by offsetting adornments. Even having good vision had to be regarded as a negative trait. The better off you were, the greater the impediments. Bergeron was jailed because he was so gifted that he was a danger to everyone else. Except, he was having none of it. He broke out and on television announced he was tired of it. He named himself Emperor. They killed him for it in quite obvious fashion. Incredibly, Vonnegut published this in October 1961 before the United States went through the social revival really hit the country. What must he have thought as the country aged. “What is it the slightly older people want from the slightly younger people? They want credit for having survived so long, and often imaginatively, under difficult conditions. Slightly younger people are intolerably stingy about giving them credit for that. We want people different than us to give us credit for who we are. No mention of merit or accreditation, mind you, was mentioned here. Almost as if the Indiana native wasn’t considering if the young or old deserved the respect of the other. Vonnegut simply acknowledged one wants something from the other which is likely not going to happen. Bergeron compares because the opposite happens in 2081. People gave up their advantages to be equal so much so that it made life worse for most people. It’s extreme, but paints a picture we should absolutely learn quickly in 2017. Rejoicing in the diversity in each other is key to stamping out the stinginess mentioned in the quote. Openly giving each other the dignity and respect for who we are takes away the excuse of “earning” anything. Not to say we shouldn’t strive for excellence, but it’s not a requisite for holding others in high regard. 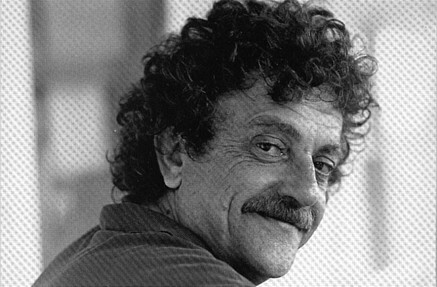 Honor the memory of Vonnegut today and appreciate someone not like you. Thank the college graduate for their fresh perspective. Respect the experience of the elder statesperson in the room. Treat ideas different than yours as an opportunity to learn. Don’t be stingy with credit. We’re better off for it. Author, blogger, coach, maker. Find me @ThoughtWorks. FYI, I’m Batman.